Warrington Housing Association (WHA) welcomed a visit from National Housing Federation CEO Kate Henderson. Our chief executive, David Cummins, led the meeting with Kate in his new role as chair of Community Housing Associations North West (CHANW) – a group of 18 organisations from across the region. As a group we are embracing NHF’s Together with Tenants plan and welcomed the opportunity to show how, as a collaborative, we are key to helping deliver it. 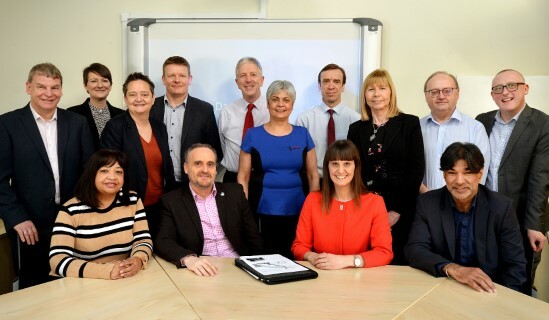 The plan seeks to strengthen relationships between landlords and tenants and together we discussed the crucial role smaller housing associations can play in helping to improve engagement with customers and communities. David said: “The great thing about working for a community housing association is that we don’t need complicated analytical tools or algorithms to help us define who our customers are, because we know who they are, every single one of them. Following her visit to CHANW, Kate added: “Housing associations – no matter their size, location or specialism – are vital to making Together with Tenants a reality. “It was great to meet with David and the CHANW group to talk about our proposals to strengthen the relationship between landlords and residents.